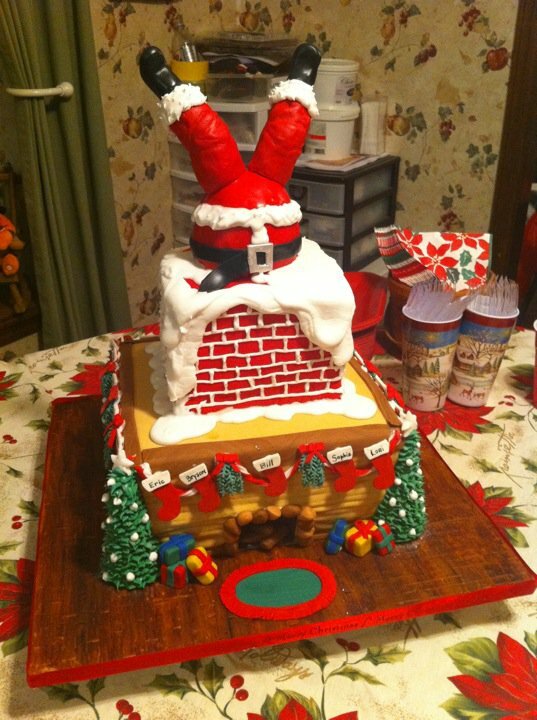 This year, my sister-in-law Kathy served us this cake for Christmas. It’s a true Willy Wonka creation, almost every part of it edible, even the parquet floor under the chimney. Kathy makes these creations with ganache and fondant. I’m not sure what these things are, but I’m pretty sure they were stolen from the Germans and chemical company IG Farben at the end of World War II, along with the country’s rocket technology, in “Operation Paperclip.” Asking Kathy her trade secrets will likely get you a Vulcan nerve pinch and a swift death. on January 12, 2011 at 6:59 am | Reply Cakemakerinthefamily!